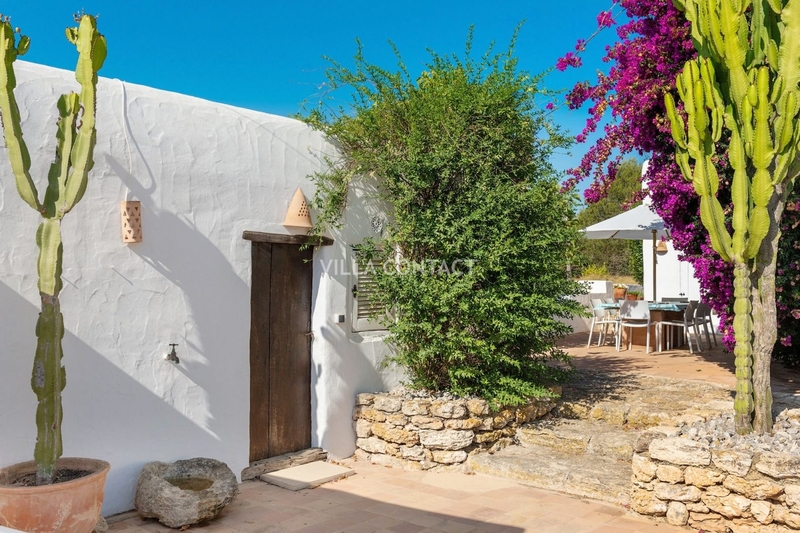 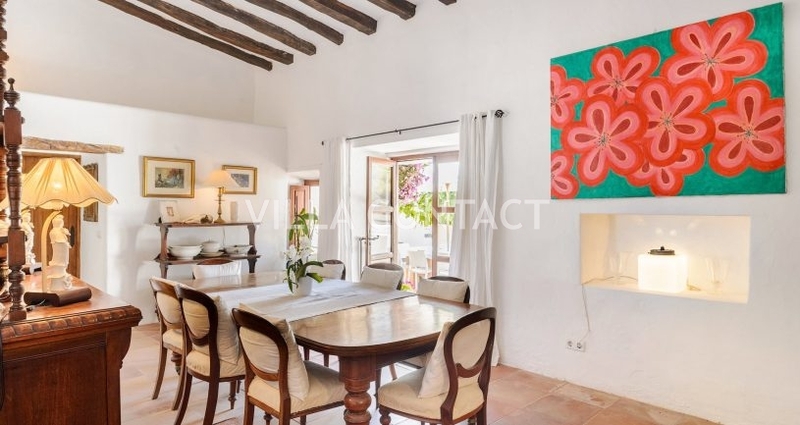 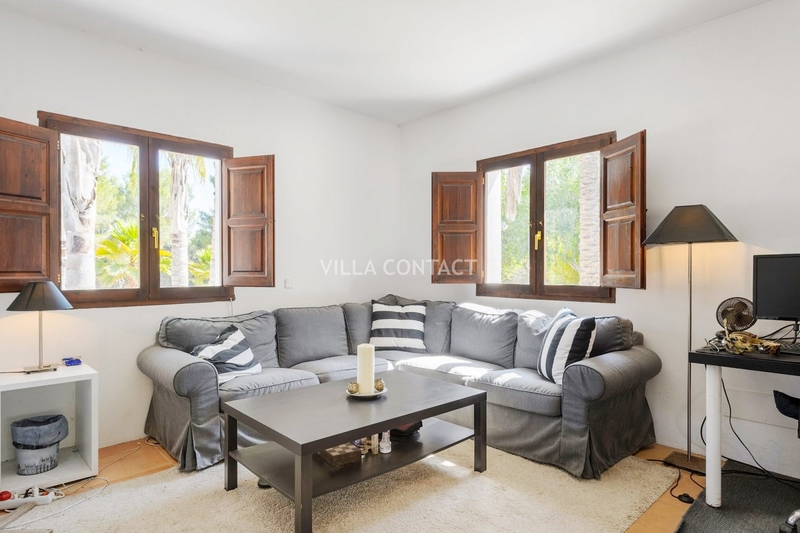 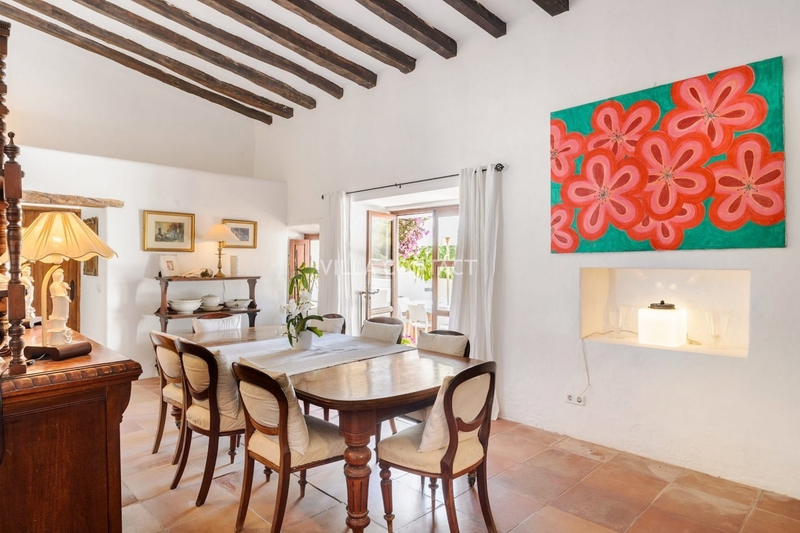 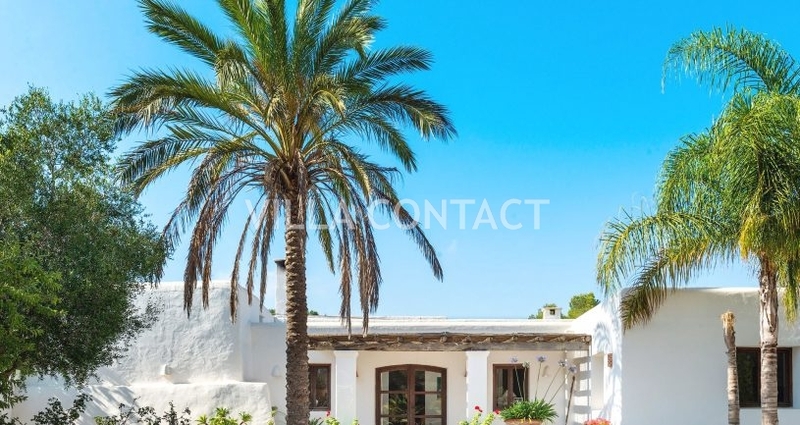 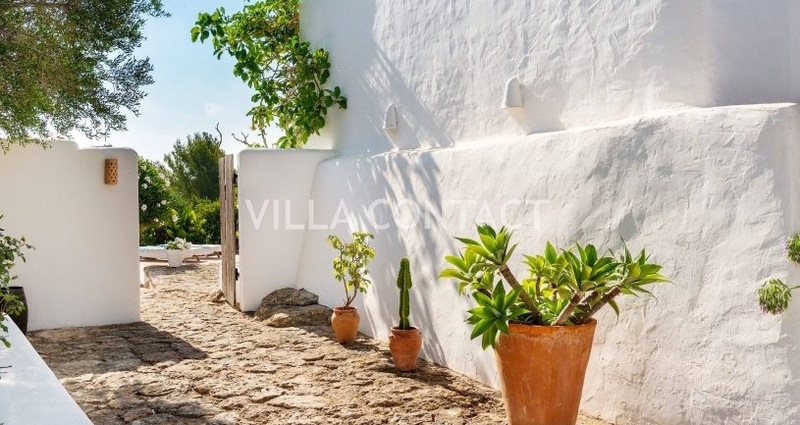 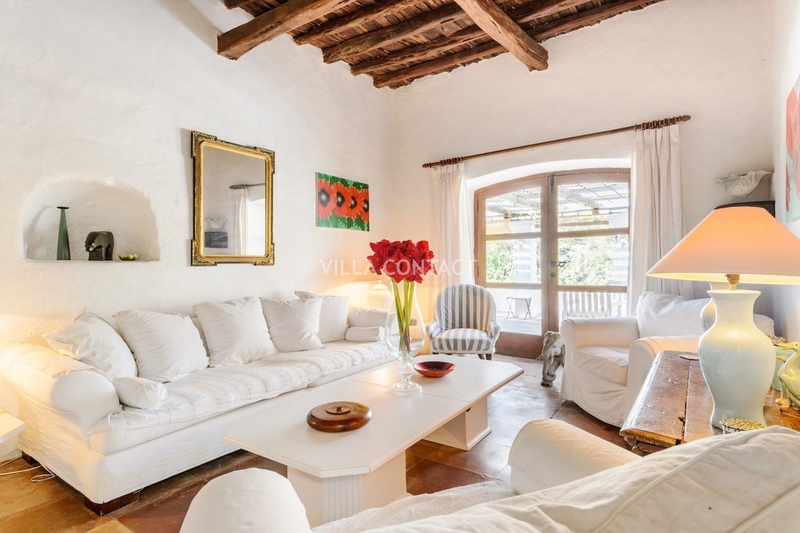 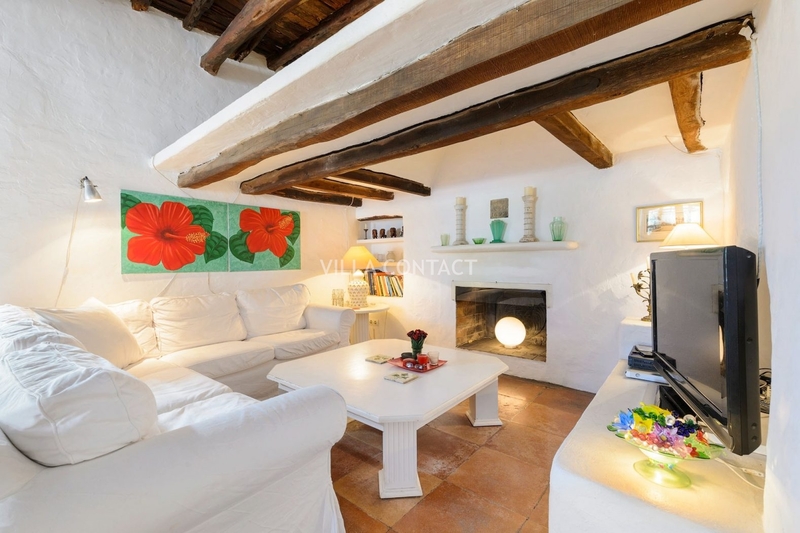 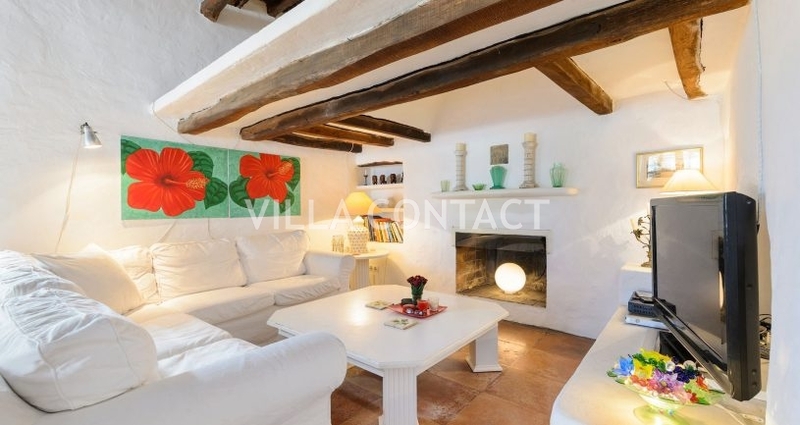 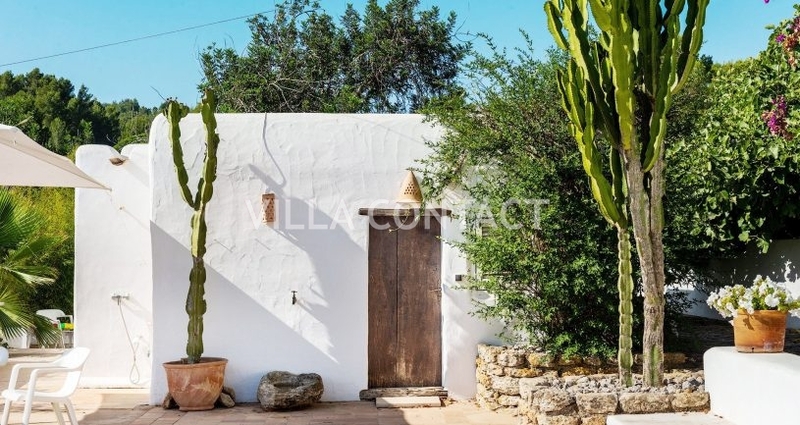 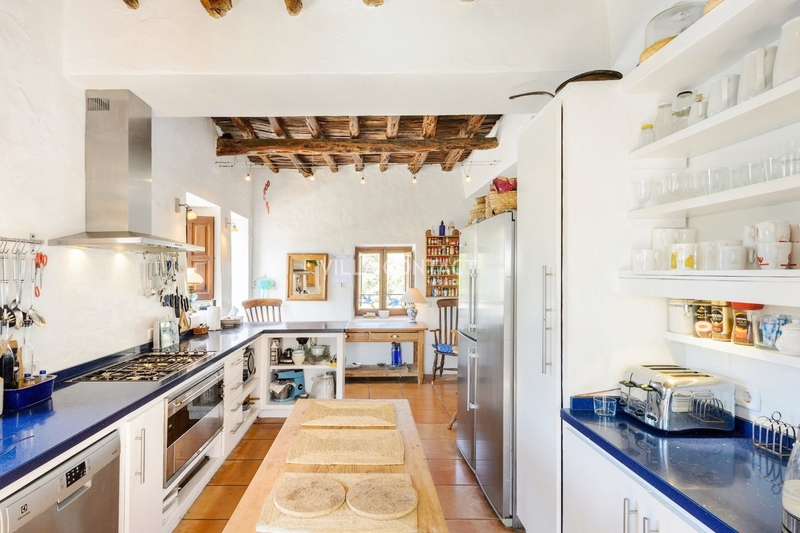 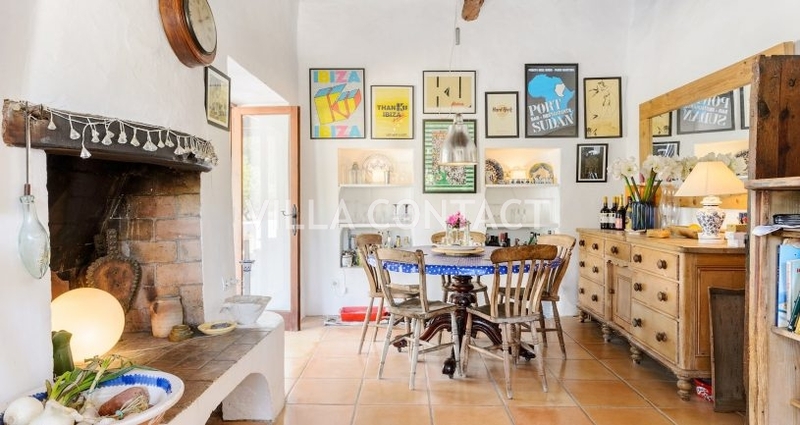 This beautiful finca has been lovingly restored and modernized whilst keeping its traditional charm. 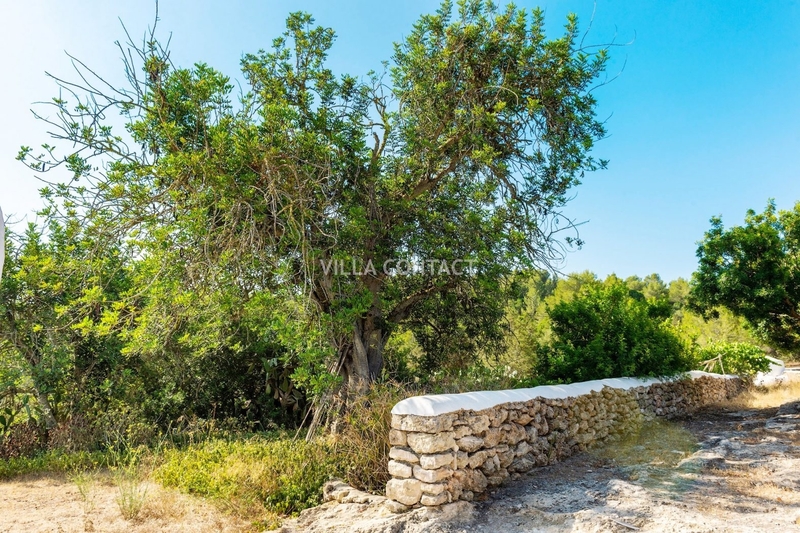 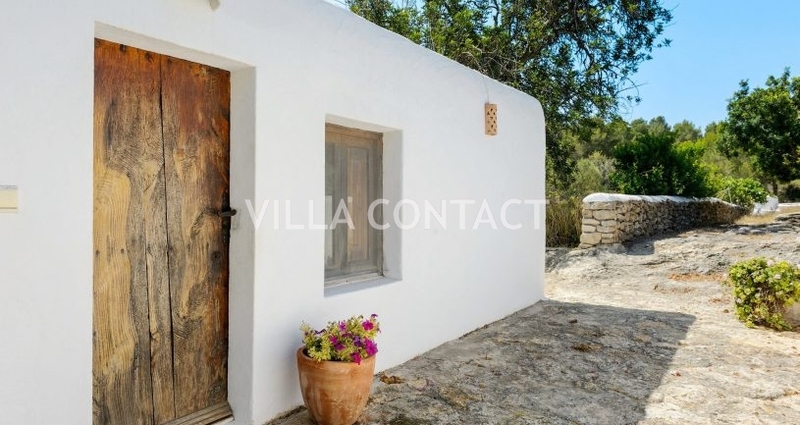 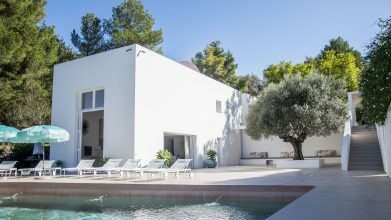 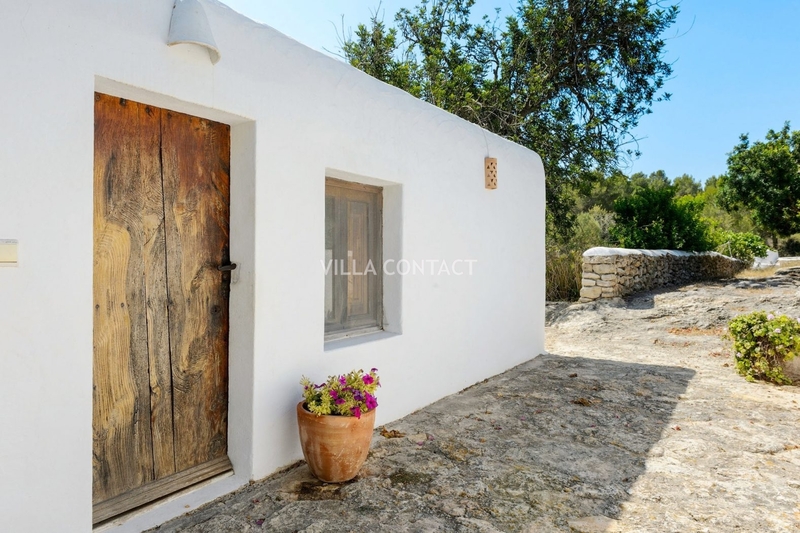 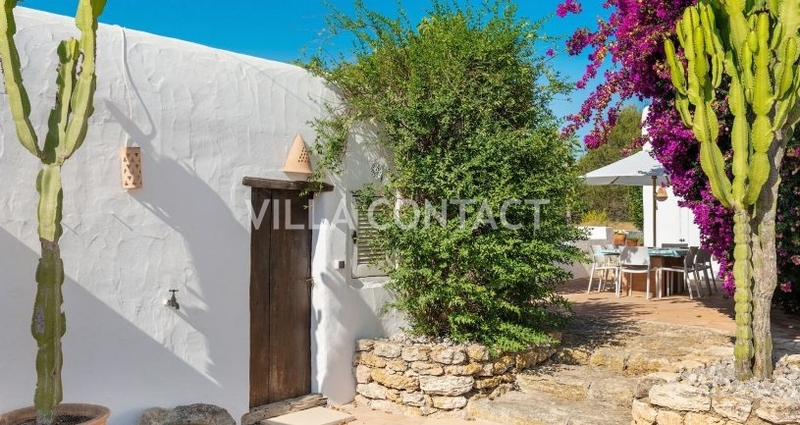 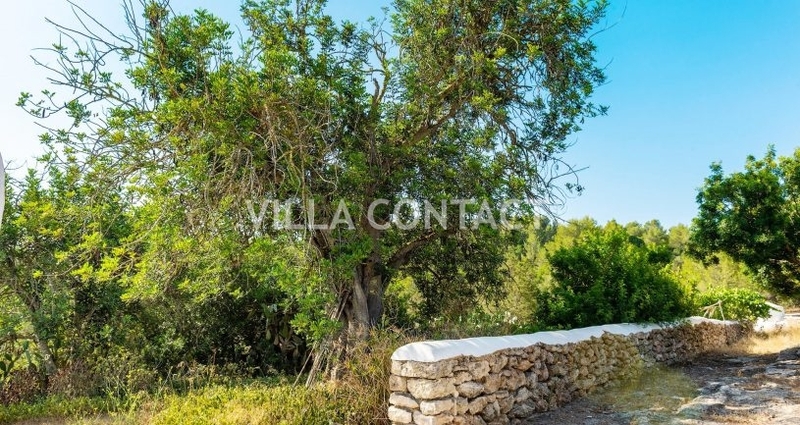 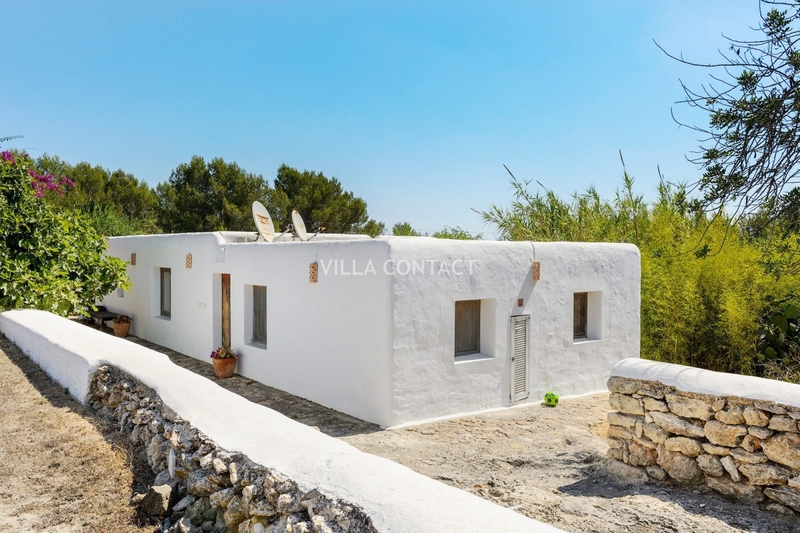 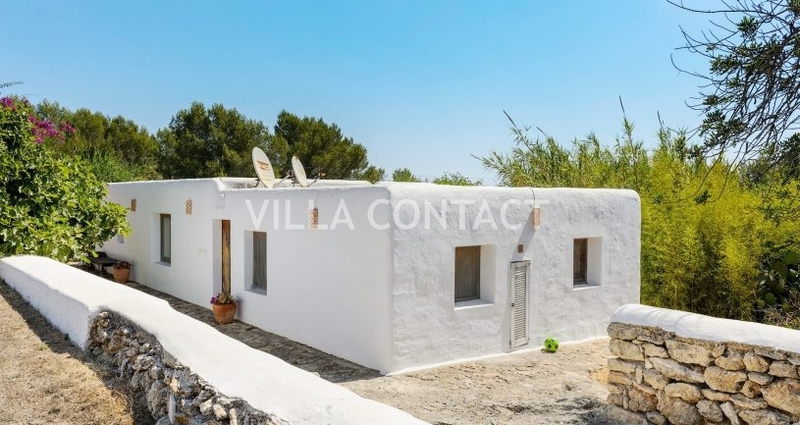 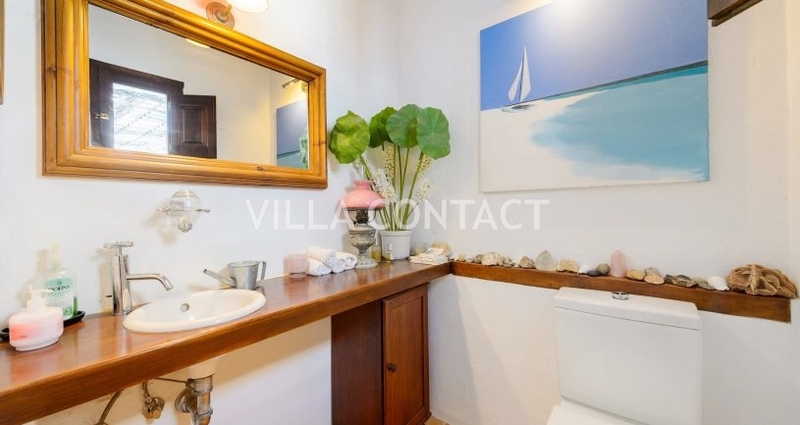 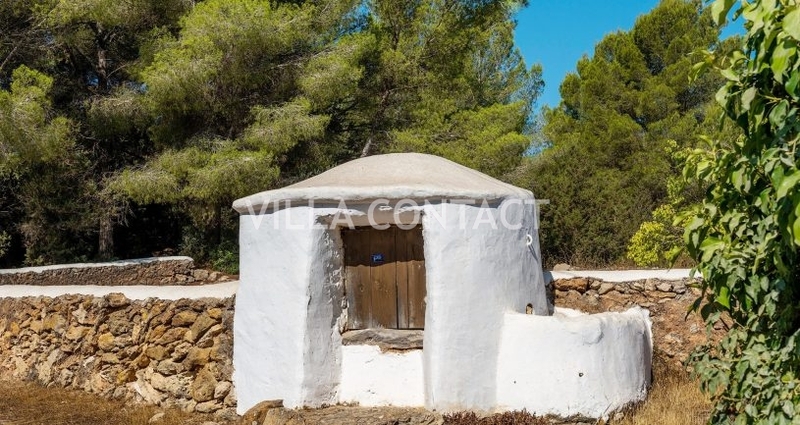 It is located in a quite countryside plot near Ibiza on the old Santa Eulalia to Ibiza road. 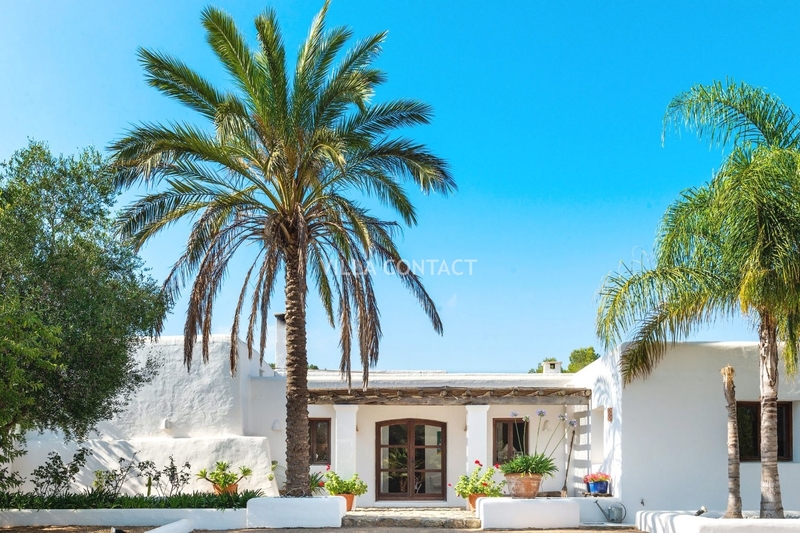 The property is 377m2 distributed across one level and is divided into the main finca and 2 additional independent guesthouses. 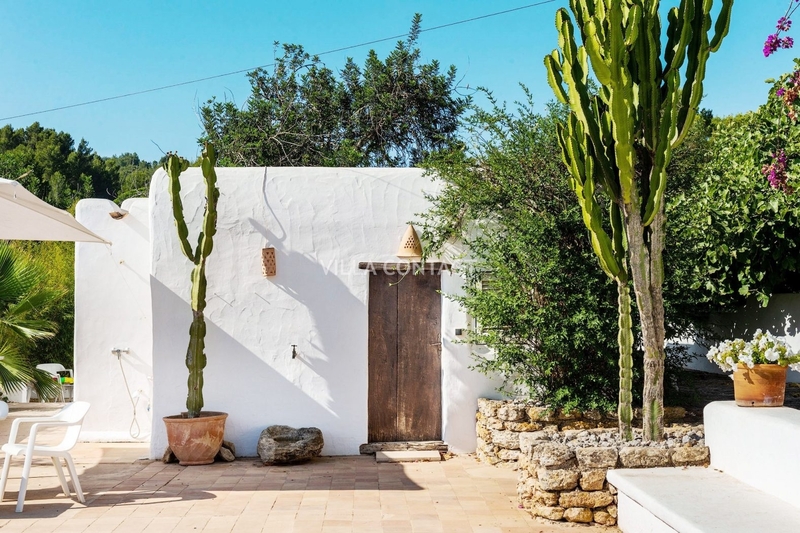 It has an easterly orientation, so it receives the morning sunshine and gets the evening sun on the back porch of the finca. 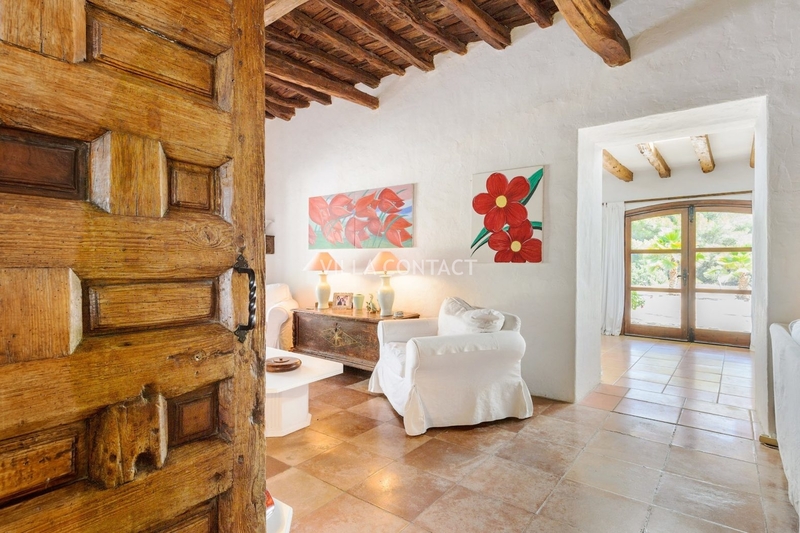 The main house has a great traditional Ibicenco entrance with a large wooden arched door. 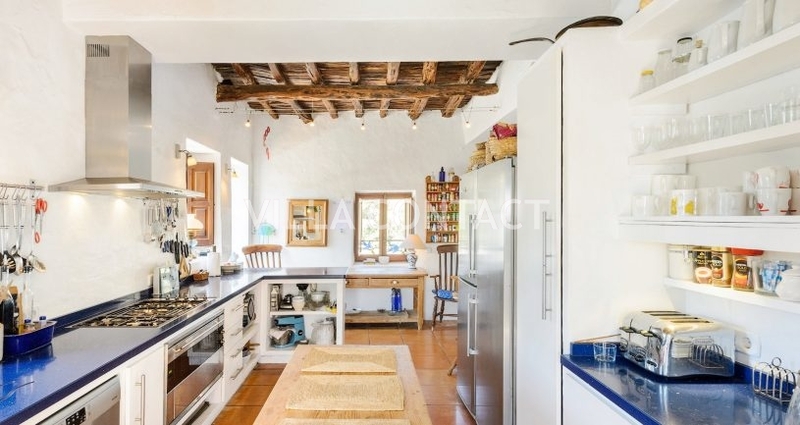 On entering the house there is a large traditional living room Sala with a sunken fireplace, a contemporary reformed kitchen and large dining room. 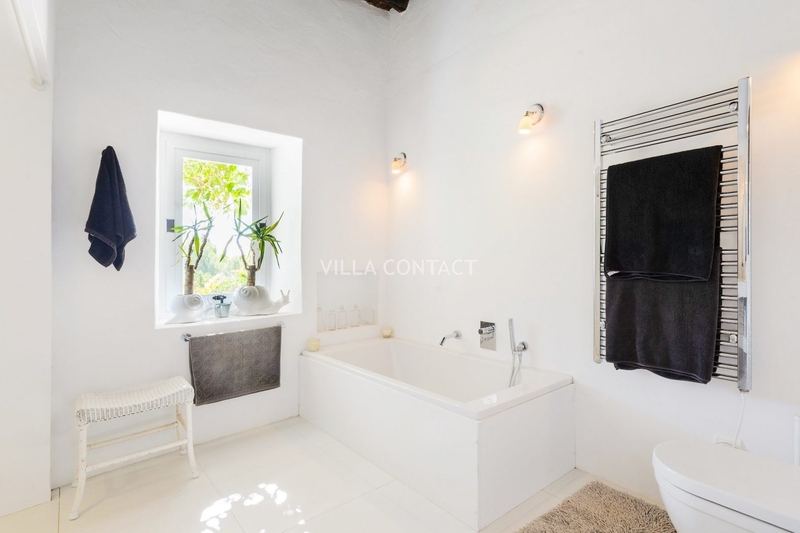 It also has a beautiful double-height master bedroom with 2 additional en suite bed rooms in the main house, all of which have their own terrace and independent access. 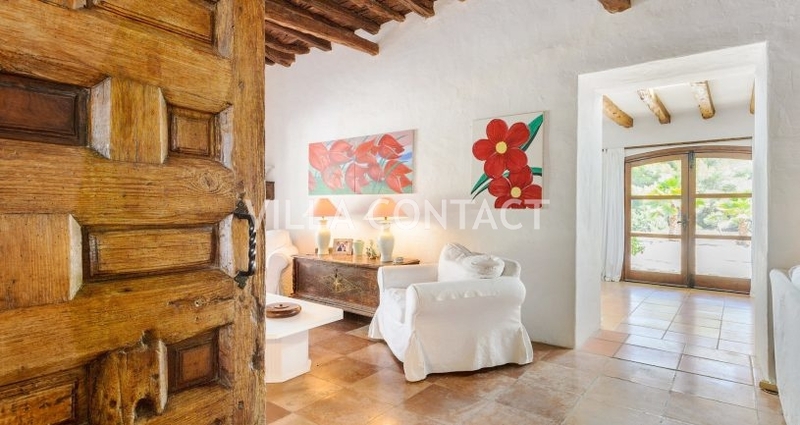 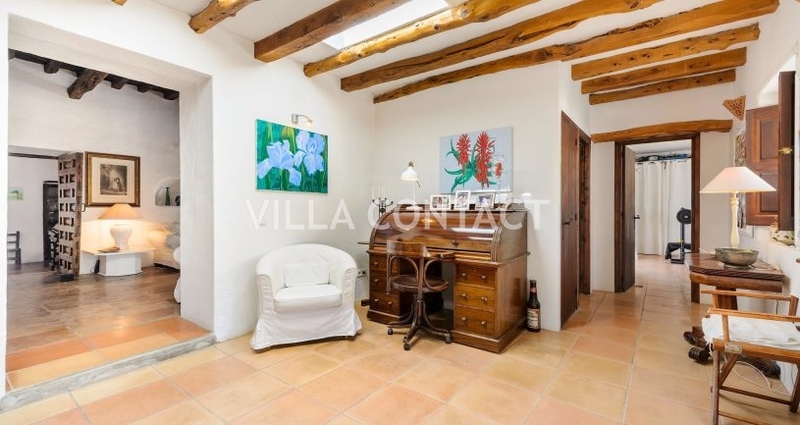 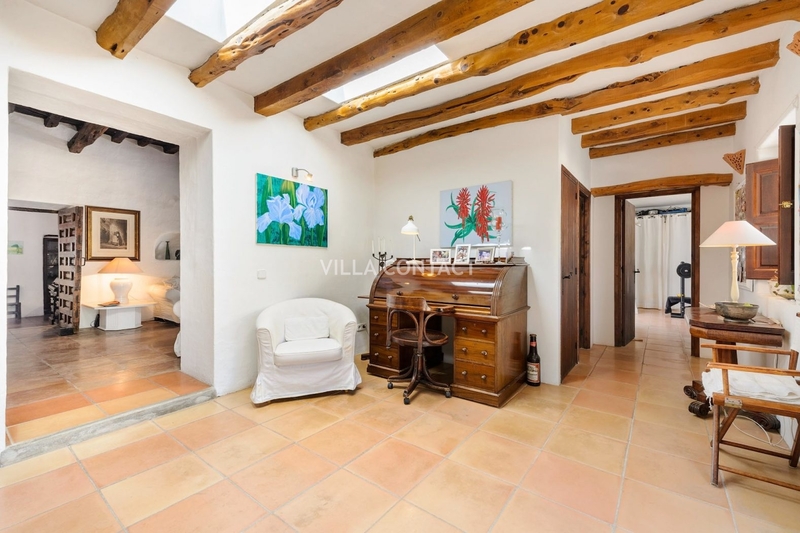 The house has lovely traditional features including wooden beamed ceilings and white washed walls. 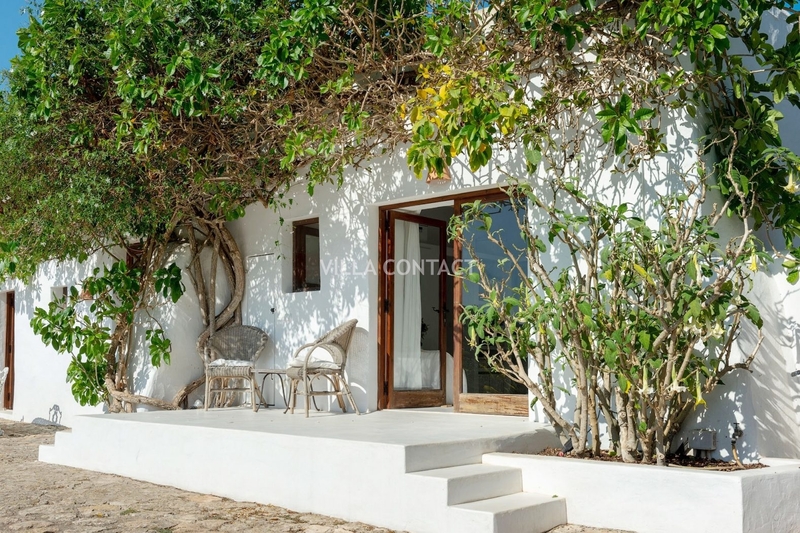 The first guesthouse consists of a double bedroom en suite with a kitchenette and has a private terrace and separate parking. 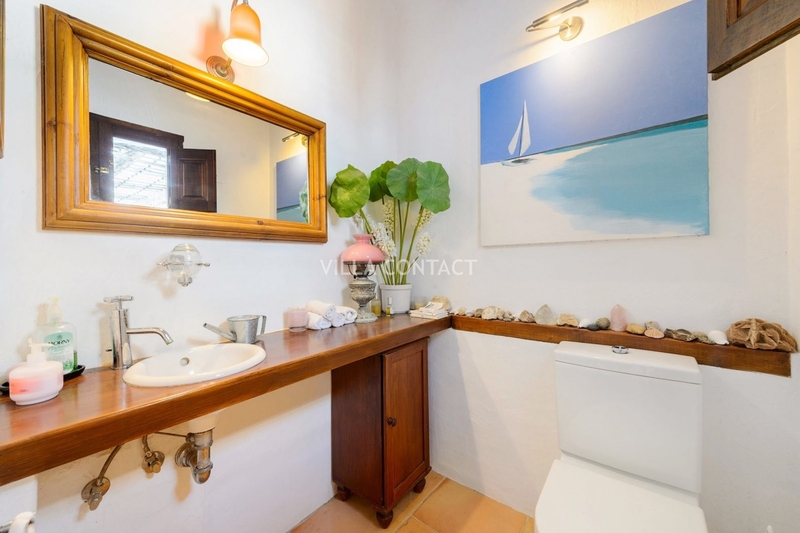 The second guesthouse which is annexed to the first is made up of a double bedroom with private bathroom and is located next to the pool. 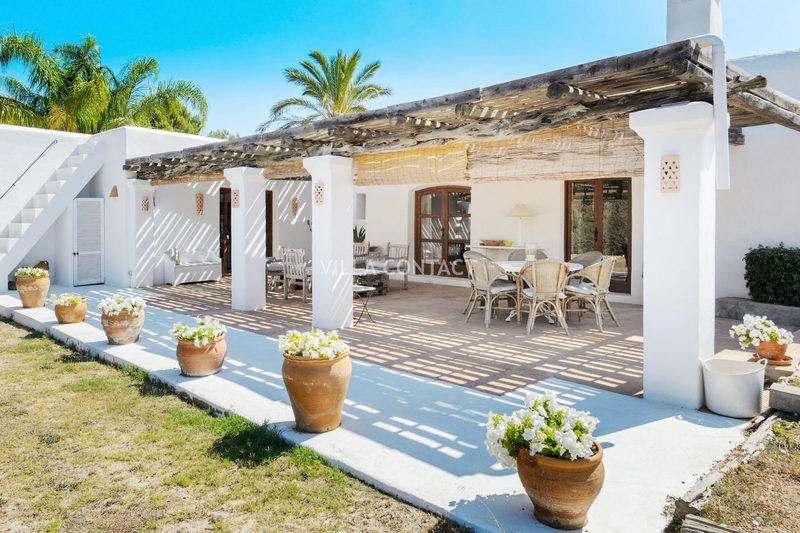 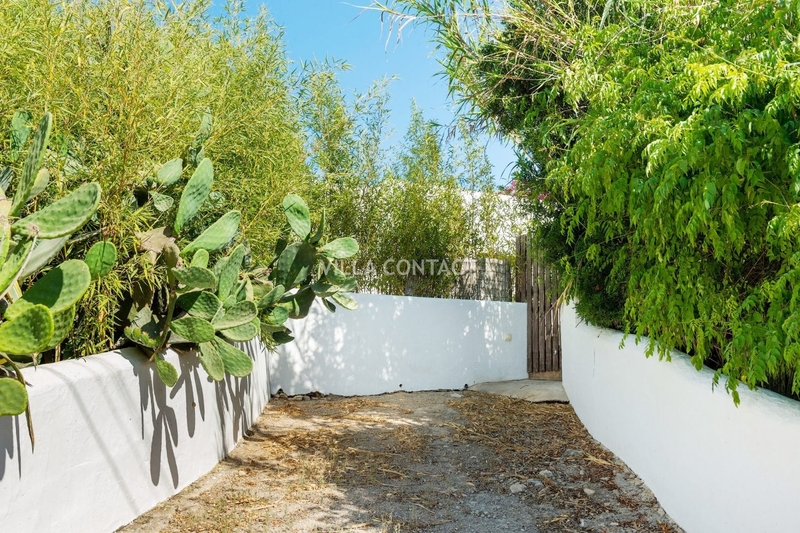 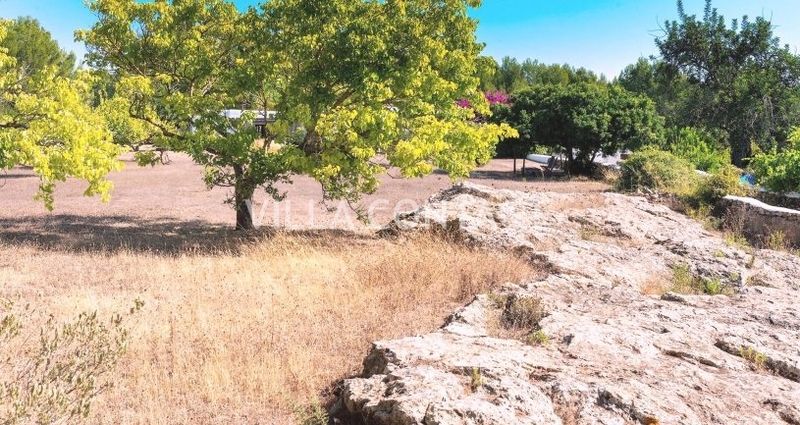 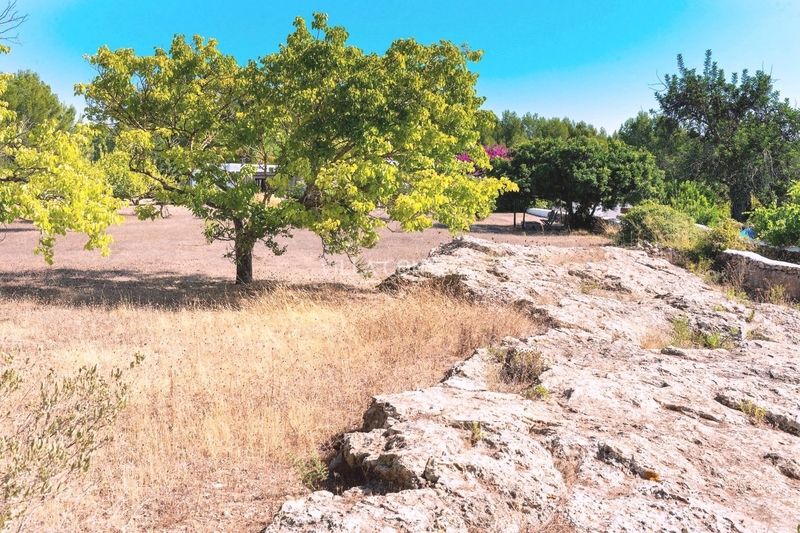 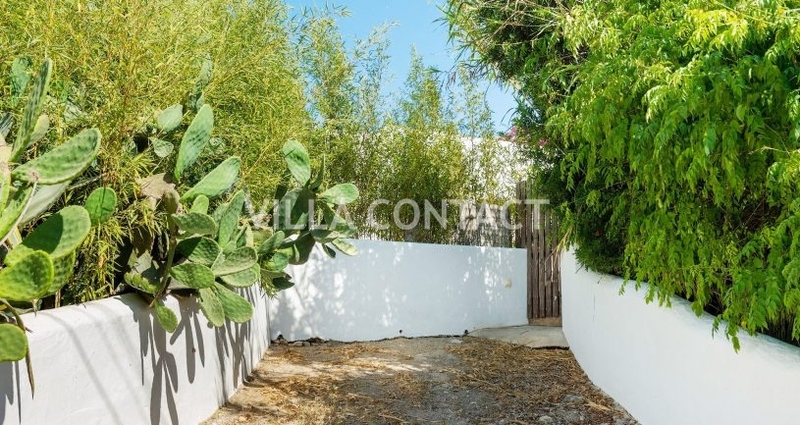 The finca is located on a completely private and peaceful plot. 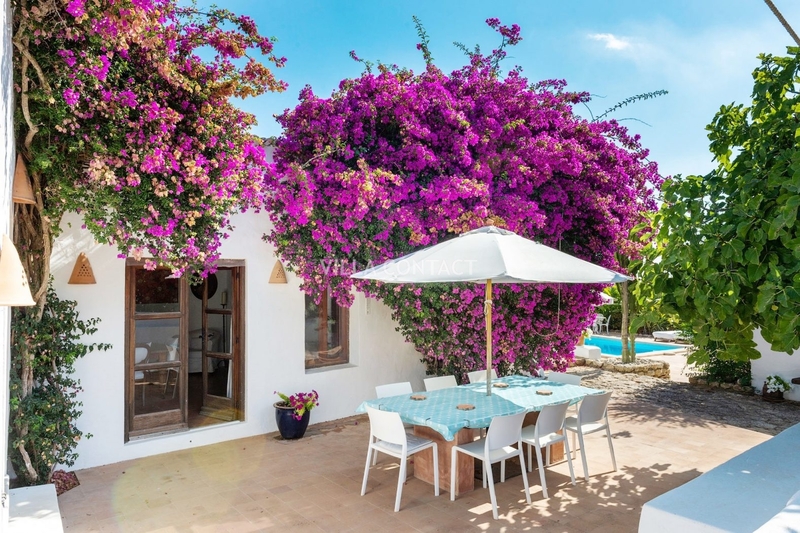 The garden is mature and has many fruit trees including a large orange grove. 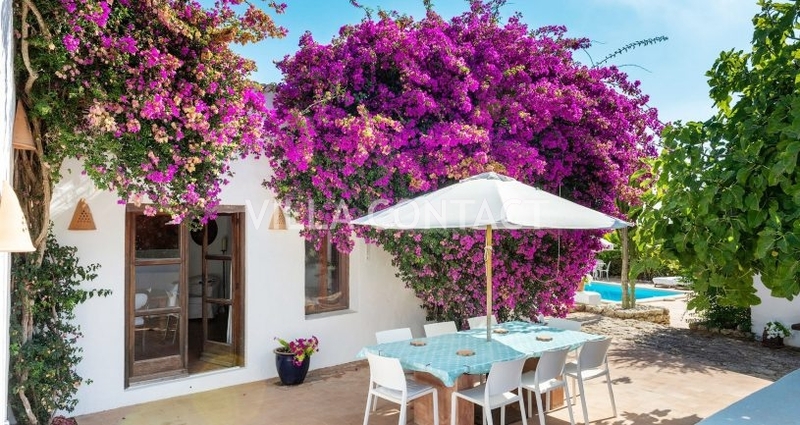 The property has a wonderful garden with fig trees, flowering Bougainville and various other local plants and palms. 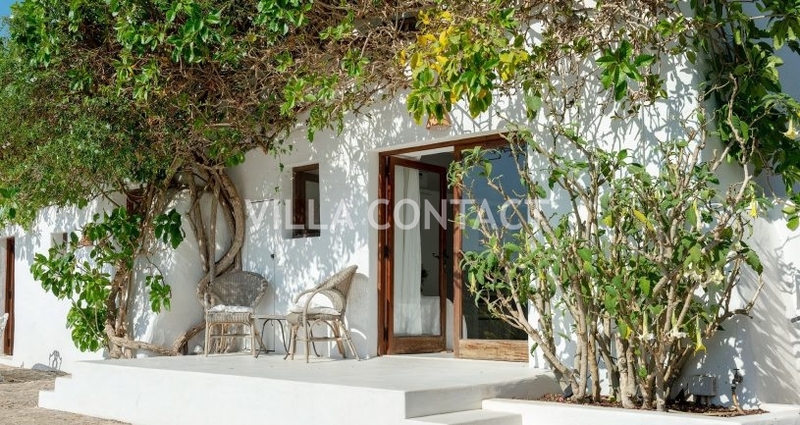 The large rectangle pool is 8 x 4 meters and is surrounded by a large private terrace with distance sea views. 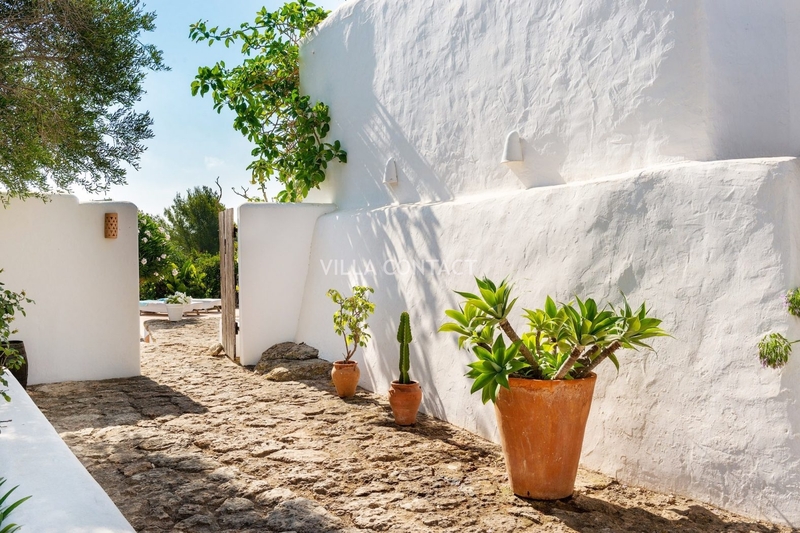 It’s a perfect place to relax and enjoy the countryside. 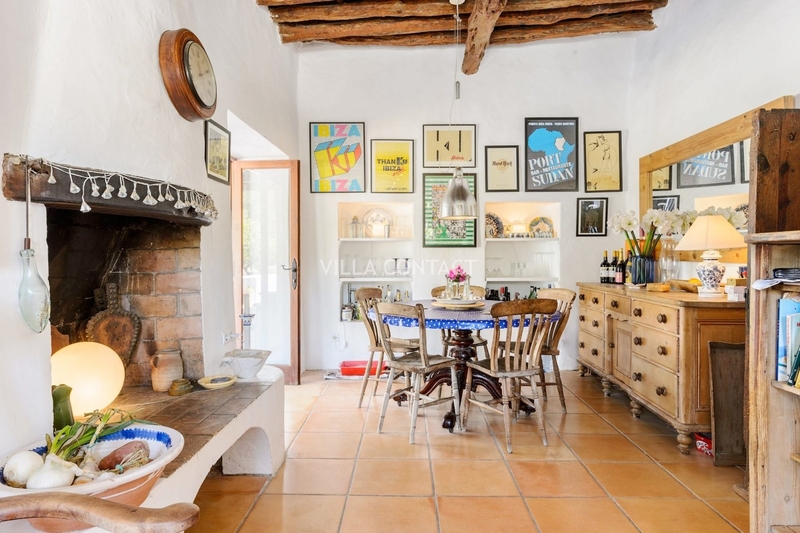 This property has air conditioning, a large traditional fireplace with sitting, a large external utility room with additional fridges and storage and an external guest toilette. 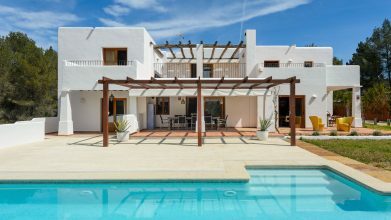 by the pool and a large parking at the entrance on the main finca and additional parking for the 2 guesthouses. 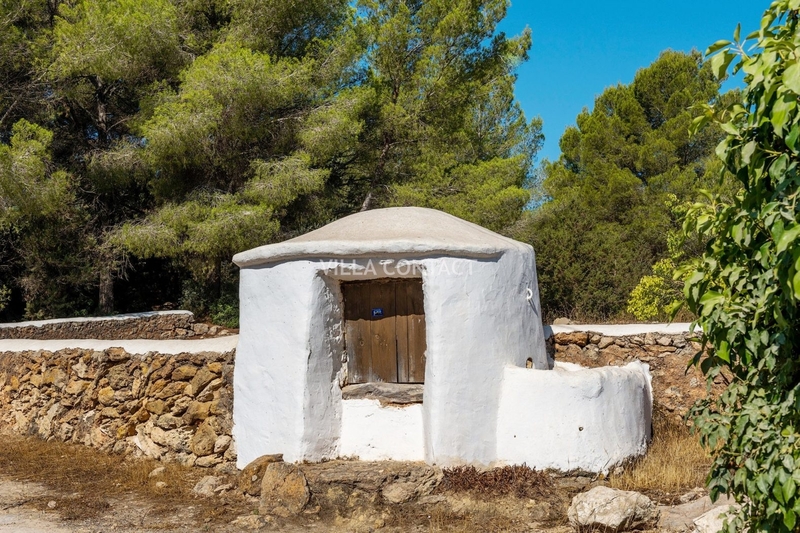 Located in the southeast island of Ibiza, it is very close to Ibiza town and not far from the town of Santa Eulalia. 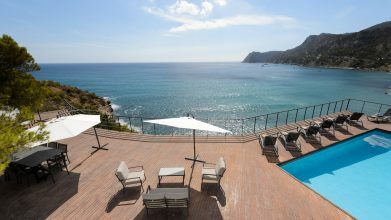 There are some great beaches near the house including Cala Olivera, Talamanca and Cala Llonga beach.